WILMINGTON, MASSACHUSETTS — Lantos Technologies has announced the U.S. release of the industry’s only FDA 510K cleared, 3D ear scanning system. Built upon its MIT roots, with more than 70 technology patents, the new Lantos system “breaks the mold and transforms the process of providing personalized hearing solutions”. With more than 22,000 scans performed and over 4,700 individuals now fitted with custom devices, Lantos says that the company has demonstrated the value of 3D ear scanning to patients, clinicians and manufacturers. The new technology has many possible applications, such as in custom molding of hearing aids, hearing protection, as well as professional and consumer audio devices. Lantos will launch its commercially available 3D ear scanning system at the American Academy of Audiology’s Annual Conference, March 27-30, in Columbus, Ohio. A significant departure from the typical routine of traditional silicone earmold impressions, Lantos system leverages a patented membrane-based scanning technology that captures over one million data points from the outer ear to within 4mm of the eardrum in just one scan. That detailed ear scan data is captured in a user-friendly digital workflow engine and provided to partners for rapid manufacturing via the cloud. –John Bojanowski, CEO of Lantos Technologies. While audiologists and patients agree that the optimal process for creating earmolds is through a 3D scan, proper training and support is a critical component to learn any new clinical skill. 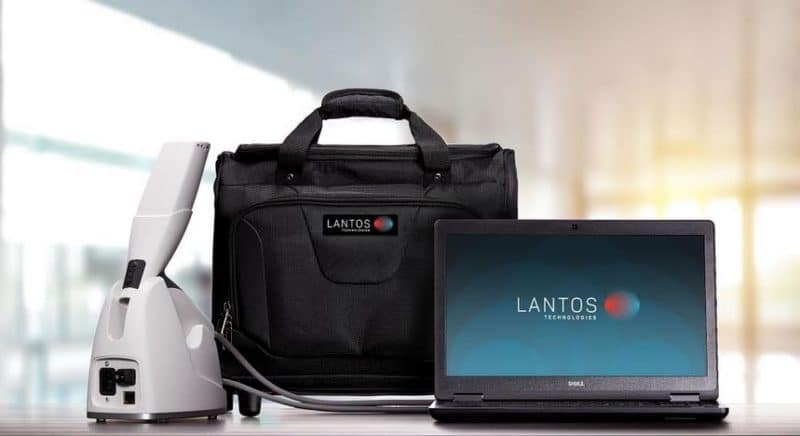 Led by a team of audiologists, Lantos provides a three-part training program that includes online courses, in-person training, and additional events. Upon completion of the training program, practices can streamline their ordering process by immediately sending scans to preferred manufacturer partners for faster and more precise production. For more information or to see how the Lantos 3D ear scanning system works, readers can visit the company’s website or click here to schedule a personalized demo at booth #543 at AAA, March 27-30th in Columbus, Ohio. The company can be found at AAA booth #543 and will be giving five presentations, during the conference. See the Lantos schedule here. Download the ‘Lantos By the Numbers’ infographic to learn more about the market, the opportunity and how Lantos measures up.